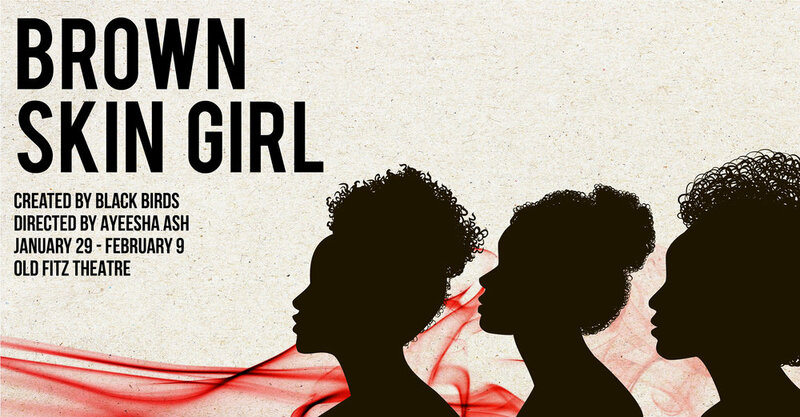 Brown Skin Girl melds visual art, spoken word, music and movement, drawing audiences into the lives of three Black and Brown women as they navigate the complexities of life as twenty-somethings in Sydney. BROWN SKIN GIRL is a three-part immersive experience. Upstairs at the Old Fitzroy Hotel anytime before and after the performance, the audience can experience installations and photography by local First Nations artists Willurai Kirkbright and Lisa-Jane van Dyk. Q&A's will take place after select performances in the theatre, and opening and closing night parties upstairs with DJ's Carolina Gasolina, Munaasib and Ayebatonye. As per all shows at the Old Fitz Theatre a lock-out applies, and any patrons who exit the theatre during the performance will be unable to re-enter during the performance. Please visit our info page for more information on the venue and access. Black Birds is a Sydney|Cadi based company which was founded in 2015 by Emele Ugavule and Ayeesha Ash. Core members include Ayeesha (Artistic Director), Emele (Community Outreach Director) and Sela Vai (Resident Choreographer). Black Birds was created as a response to the lack representation and misrepresentation of Women of Colour in the Australian arts and media industries. With each project creatives are invited to collaborate on works that dissect and document the female Black and Brown diasporic experience in Australia through art and performance in a variety of mediums and spaces; theatrical and non-theatrical. Black Birds prides itself on making work that is intersectional, interdisciplinary and intercultural. They strive to create work that is culturally, financially and physically accessible; work that challenges the norm and starts the conversation. Their work has been shared in Sydney|Cadi, Melbourne|Narrm, Brisbane|Meanjin, Barbados and New Zealand|Aotearoa. In the last two years Black Birds have produced theatrical works at The Joan, Community Reading Room, BATCH Festival, Next Wave Festival, Festival Fatale & Bondi Feast and they’ve performed at Arts House, Sydney Fringe, Word In Hand & The Pan Afrikan Poets Cafe. They have exhibited visual art, installations & short films at Mangere Arts Centre - Ngā Tohu o Uenuku, Bondi Pavilion Gallery, Footscray Community Arts Centre, aMBUSH Gallery and the Transoceanic Visual Exchange. I n April 2018, in conjunction with La Boite Theatre Company they facilitated the Mata Matagi gathering; a call to Pasifika, Aboriginal, Torres Strait Islander and Māori peoples to connect through song and storytelling. In July 2018 Black Birds, in association with Albertina Thabisani Ncube of ATN Photography, hosted their first event; an exclusive Sydney screening of new documentary Abantu - People of Art. In September they collaborated with Lunar Sequence to host the screening of her latest video work Supermane. Both evenings included screenings, as well as live performance, music and a guest DJ set by some of Sydney’s best PoC artists. On November 30 Black Birds will be performing a new work at MCA Artbar, curated by Hoda Afshar. In 2019 Black Birds look forward to remounting two of their sell out theatrical works, Brown Skin Girl and Exhale, at The Old Fitz Theatre and Griffin Theatre respectively.